Craft show and festival season is in full gear right now and the fall shows are right around the corner. 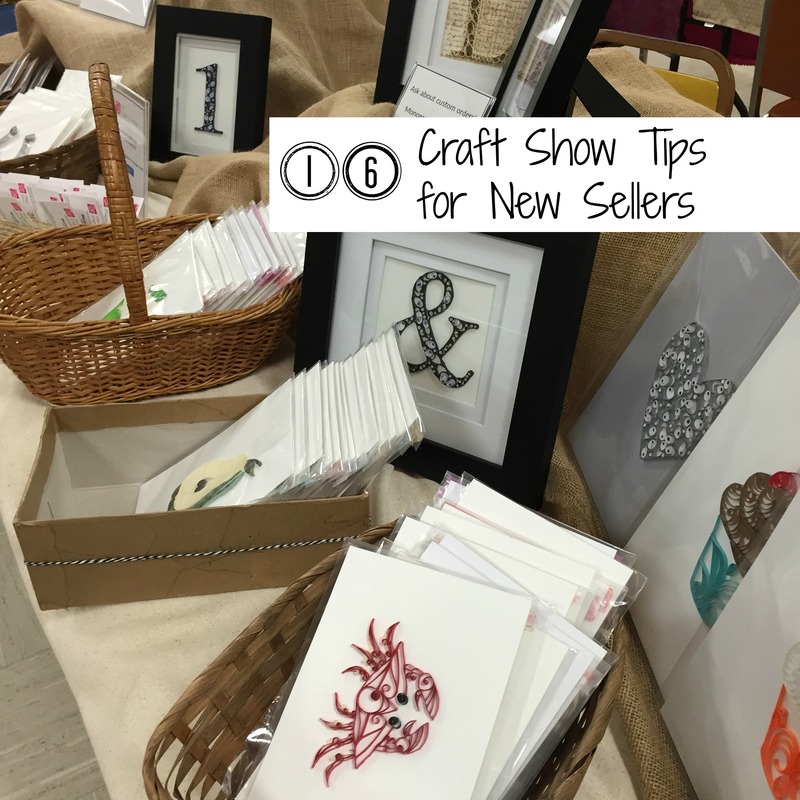 And so I’ve pulled together 16 craft show tips for new sellers to get you in tip-top shape to showcase your wares at all the events you’d like! Know your show details. Do you have to bring a table and chairs or are they being provided for you? What is the vendor fee? Who is your contact person? Are you expected to bring an item for a charity auction? Craft shows can have a lot of variables of what you need to know before hand. It’s a good idea to keep notes! Branding Spend some time getting your company’s brand identity ironed out. Logos, fonts, colors, banners. There are so many chances to tie your shop’s personality through your branding. I was lucky enough to find a graphic designer that wanted to build up her portfolio, and offered to design my logo for free. But check out fiverr and find your own graphic expert who can whip up a logo for you. Then head on over to VistaPrint for your business cards and banners. Or try PicMonkey to create postcards with your logo and a collage of your items. Slip that into your customers’ bags and they’ll have a reminder of all you offer! Advertise before! Friends and family are a great resource to get started advertising your upcoming shows. Then go a step or two beyond that, too. Can you mention your show on Facebook or Instagram? If you have a blog or website, add a calendar widget to your page so your viewers can see your future schedule. This is a do as I say, not as I do moment; a calendar is very near the top of my to-do list right now! Bags, envelopes,etc. Think about what your customer will need to get your product home safely. Bags are probably a given (and use a stamp or sticker with your logo for another branding shot, yay!). But do the super-fragile mugs you sell need to be bubble wrapped? Could your paper cards hold up better in a cellophane envelope? Its better to spend a few dollars before the show on packaging, than to have your customer discover at home that the brand new handcrafted loveliness they just bought from you is shattered, crushed or bent. Think about booth decor. How are you going to display your creations? Do you need boxes or crates on risers? What color linens are you going to drape over your table? There are infinite possibilities for ways you can cleverly showcase what you’re selling. Pinterest has tons and tons of amazing inspiration to get you started! Dress for your shop. Do you offer girly, swirly, flowy dresses? Then maybe don’t dress yourself in jeans and a tank top. If you can wear your own creations, that’s ideal. But if not, you should match the overall vibe of what you do create. Bring filling snacks. Craft shows can be very long (or even multiple) days. And obviously, at some point because you are a human, you will need to eat. While there might be some food vendors selling yumminess right there, I prefer to bring my own snacks. I grab some filling nuts or granola, cheese and fruit so I can quickly nibble between customers. Arrive early. Maybe its my irrational fear of being late, but I like to give myself more time than I need to set up. Plus, getting your space just right can take longer than you think it might! Sometimes craziness happens, no matter how may times you’ve practiced your set up. I’ve had signs fall, fabric draping look super-weird for no reason, neighbors spill sodas dangerously close to my inventory. You never know. Give yourself a few extra minutes. Make friends with neighbors. I’ve sold items to nearby booths, made great contacts for joint ventures, and learned about other shows from nearby sellers. Plus they’ll probably be really nice people and watch your booth while you run to the bathroom. But don’t get so caught up in chit-chat that you don’t see your customers! Smile! Seriously. It works wonders. Stand! Ok, maybe not the whole day. But stand when customers are at your booth, or even better, approaching your booth. Retail experts have found that buyers can feel like they are interrupting sellers who do seem uninterested or busy. Standing up and making eye contact with your customers will go a long way in helping counteract the feeling that they are bothering you. To work or not? One of the big questions when working craft shows is do you bring work to do while you’re there or not? Personally, I like to bring some simple projects that I can quill while I am between customers. But my work is not something that buyers see everyday. I get a lot of questions about the quilling process and tools. Plus, my supplies are pretty small and easy to transport. Do you create items that are a little messy to make? Would working on your craft distract you from potential sales when you can’t give your customers the attention they need? If so, leave it at home! Take credit cards. Fewer and fewer of your buyers are carrying cash these days and they are starting to expect you to take credit cards. It really doesn’t have to be a daunting process and it doesn’t matter how small your shop is. If you’re an Etsy seller, they have a very user-friendly app for smartphones or tablets that sync with a credit card reader to make in-person selling incredibly simple. Check it out here. (If you’re not an Etsy seller, start now and get your first 40 listings for free!) Another popular choice is Square Reader. PayPal has jumped into the mix with their own reader too. Don’t pack up early! Some craft show are really slow towards the end of day. And others around you will start packing up super early. It can be pretty disrespectful to both the organizers and those straggler customers when you’re running to your car as soon as you can. Plus, the end of the show is another great time to sell to your booth neighbors! Bring a cart. This is really a note to myself. I have to get a dolly or cart for set up and break down. It would make my life so much easier. Don’t get discouraged! Every crafts person has good shows and bad shows. It comes with the territory. But what can you learn from those rough days? Can you learn about any show tips from your booth neighbors? Did you get any feedback from the customers who were just looking? Try to get one of your business cards in the hand of every person who stops by your booth. Maybe they just need a few hours to think about that beautiful handmade scarf you created and they’re going to contact you soon to buy it! Bonus!! I’ve just added a brand new free craft show checklist printable to help get your craft show prep organized! 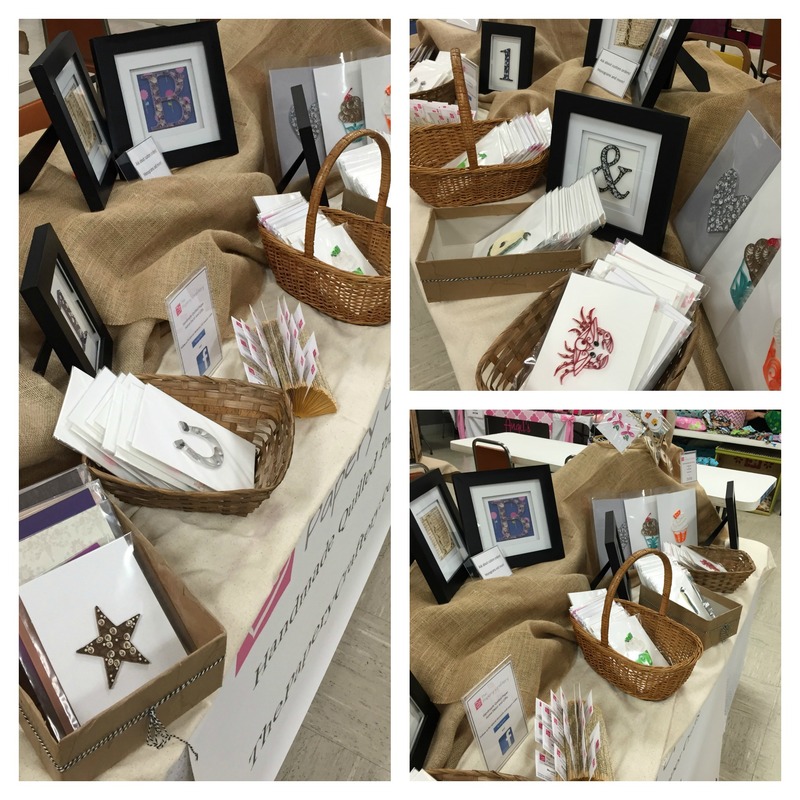 Craft shows can be really nerve-wracking and exciting! And an amazing way to reach new and potential customers. So crafter veterans, what else do you think about when preparing for craft shows? Leave a comment below with your words of wisdom!